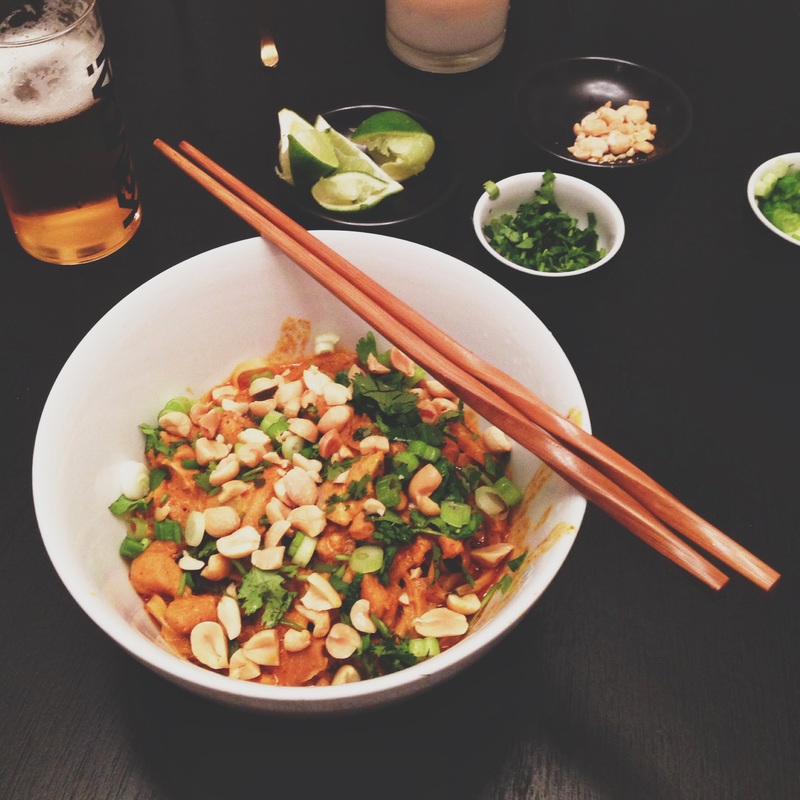 A few months ago, I discovered the Burmese-influenced Thai dish khao soi (khao soy / kaw soy). It would be a much cooler story if I could say I ate it on our trip to Southeast Asia in 2011, like Char Kuih Kak, but that’d be a lie. I discovered khao soi at the Denver Thai restaurant, Swing Thai. I was sick of our usual orders and wanted to try something new. Kaw soy sounded promising. It’s now pretty much the only thing we order. Once I enjoy a dish out in the world, I feel compelled to figure out how to recreate it at home. Sometimes, it’s a total flop. Some things just don’t taste as good when they’re made at home. Khao soi is not one of them. It’s even better made at home. 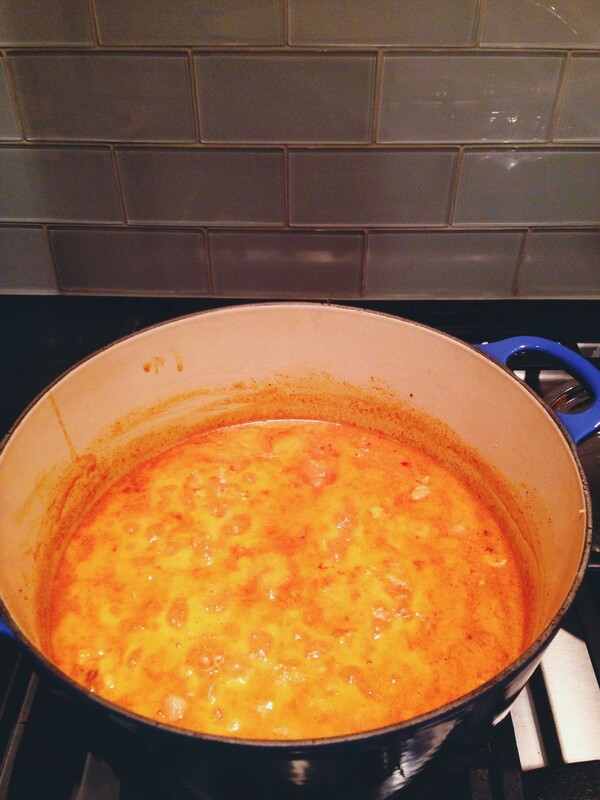 Because here’s the thing: you simmer the protein in the sauce. Think about it. When you go to your favorite Thai or Indian or Chinese restaurant, every dish can be ordered with the choice of chicken, beef, or tofu. And maybe shrimp or pork too. How does that meat get incorporated into the dish? It gets thrown in at the last minute. So what does it taste like? Not much. Even the delicious Swing Thai is guilty of this. Their kaw soy sauce is superb, but the protein? Lackluster. So go on, try and make your favorite curry dish at home. 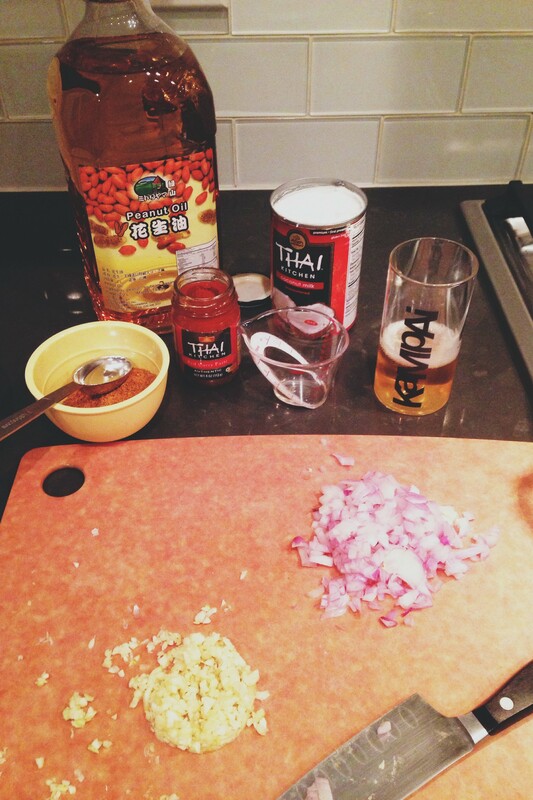 Maybe it’s not khao soi. But you should still make it. It’s good. And easy. Someday I’ll eat it in Thailand. Gotta get to Chiang Mai. I bet I can find a place where the meat is simmered in the sauce. Right? 1. Heat oil in a large saucepan or wok over medium heat. Add the garlic and shallot and cook until fragrant; about 30 seconds. Add the curry paste and powder and cook for another 30 seconds. Add coconut milk, broth, chicken, fish sauce, and sugar. 2. Bring to a boil. Simmer for 30-45 minutes, stirring occasionally. Add a bit more broth if desired. 3. 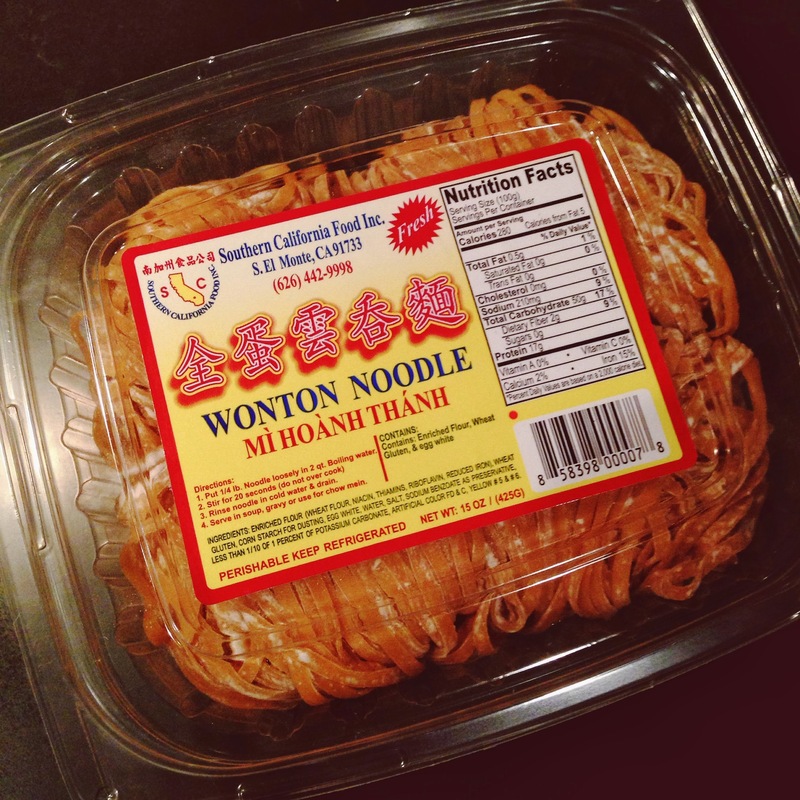 Meanwhile, boil water and cook noodles according to package directions. 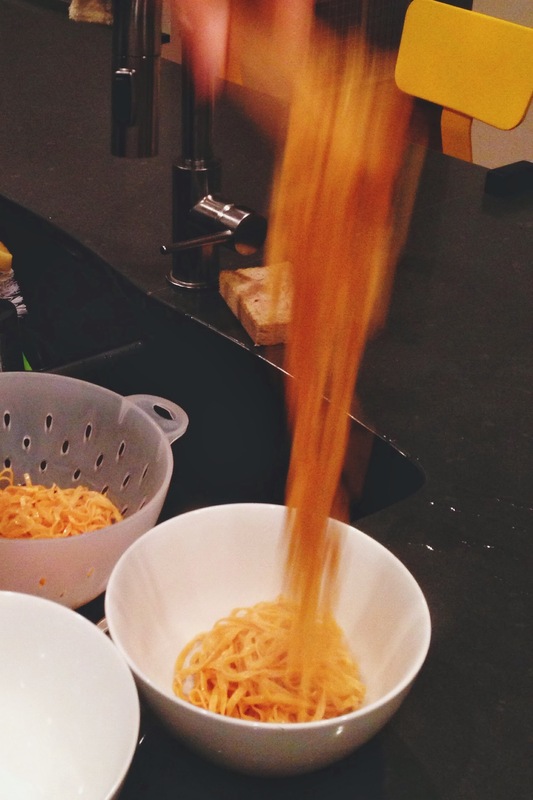 If fresh, noodles shouldn’t take more than 1 minute to cook. 4. Put noodles in individual bowls and top with curry. Add garnishes. Both meals look SO delicious!